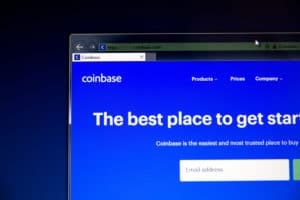 Coinbase, one of the largest cryptocurrency exchanges in the US, announced on Monday that it had paused all interactions with the Ethereum Classic blockchain after detecting double spends in the network. The problems began on January 5 when Coinbase detected a deep chain reorganization in the network. The exchange noted that it stopped the transactions to protect consumer funds. Users cannot receive or send ETC to their accounts until the problem is solved. However, buying and selling ETC on Coinbase is not impacted. 51% attacks usually generate a lot of fear and negativity and many would expect this to result in lower prices in the crypto market. However, now more than 24 hours since the announcement, the majority of the cryptocurrency market is trading up, with some cryptocurrencies like Tron even posting double-digit percent gains. Does the fact that the crypto market is shrugging off this negative news indicate that we are entering into a new bullish phase for crypto prices? After the initial event that was detected by Coinbase, the exchange has gone on to detect 12 other reorganizations on the network. The 12 reorganizations include double spends totaling 219,500 ETC (worth approx. $1,100,000). The exchange said that it would continue monitoring the situation and updating the customers. Until such time, buying and selling ETC on the platform is allowed but sending and receiving transactions have been paused. It further added that it takes security very seriously. According to Satoshi Nakamoto’s whitepaper “Bitcoin: A Peer-to-Peer Electronic Cash System,” it states that it is a core requirement that more than 50% of nodes are ‘honest’ to make Bitcoin secure. This process is known as chain reorganizations and the deeper the “reorg,” the higher the number of blocks are manipulated in the network. All transactions still exist on the network, but their order can change, or some could be delayed. An attacker could send a significant number of coins to a merchant while creating an alternative block history where the same coins are sent to a different address. This means that both transactions exist, but the original one is invalidated, and the merchant never receives the coins, despite paying his part of the transaction. Coinbase Reports Ethereum Classic [ETC] 51% Attack, Wider Market Remains Unfazed was originally found on Cryptocurrency News | Blockchain News | Bitcoin News | blokt.com. Previous Previous post: Is Tron [TRX] Entering a Long-Term Uptrend?